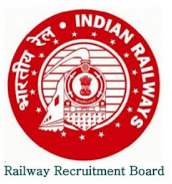 South Central Railway (SCR) has published Scouts and Guides Quota notification for below mentioned Posts 2018. Other details like age limit, educational qualification, selection process, application fee and how to apply are given below. 02 Posts each for Secunderabad, Hyderabad, Vijayawada, Guntur, Guntakal, and Nanded Division. Group 'C': Passed 10 + 2 or its equivalent examination with not less than 50% marks in the aggregate from a recognized Board. 50% marks are not required for SC/ST/Ex-servicemen or where the candidates possess higher qualification i.e. Graduation/ Post Graduation etc from a Recognized University. Erstwhile Group 'D': 10th passed OR ITI (in trades approved by the NCVT) OR Equivalent from the recognized Educational Board. Fee: ₹ 500/- for General (UR) and OBC Candidates, ₹ 250/- for SC, ST, PWD, Women, Minorities and Economically Backward Classes. The exam fee should be paid in the form of Indian Postal Order (IPO) from any Post Office / Demand Draft (DD) from any Nationalized Bank drawn in favour of 'FA & CAO, South Central Railway, Secunderabad' and payable at Hyderabad / Secunderabad. How to Apply: Eligible candidates shall be submitted on A-4 sized Good quality paper, The application should be in English / Hindi language, filled by the applicant in his / her own handwriting in English / Hindi only. Application complete in all respects should be reach to "Senior Personnel Officer (Recruitment), Office of Principal Chief Personnel Officer, 4th floor, Rail Nilayam, South Central Railway, Secunderabad, 500 025 Telangana" by Ordinary post or dropped in the box kept in the office. Last Date: The closing date for receipt of applications is 03/07/2018 up to 17:00 Hours. The last date for remote area candidates is 18/07/2018 up to 17:00 Hours.